Dogs have long been considered man's best friend with their loyalty and companionship, which is why they often make excellent therapy dogs. Whereas service dogs assist and help (e.g. guide dogs for the blind), a therapy dog’s sole purpose is to soothe people. They are used to provide affection and comfort for those in hospitals, retirement homes, hospices, and schools, as well providing emotional support to victims in disaster areas. Studies have shown that they can help the concentration and memory of patients with Alzheimer’s disease and encourage children with autism to be more socially engaged and less aggressive. They do much to reduce stress, anxiety, and depression, providing enjoyment and entertainment, while serving as a distraction for those who are ill and in pain. Therapy dogs have also greatly benefited children with reading difficulties in schools. Reading aloud to a dog gives a child confidence as they don’t fear being judged or ridiculed for making mistakes. 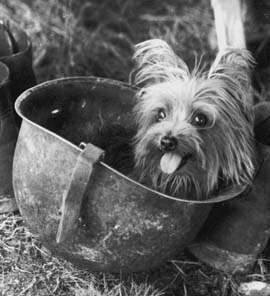 The first recorded therapy dog was a little Yorkshire Terrier called Smoky, who served in World War Two. An American soldier discovered Smoky in a deserted foxhole in New Guinea. He sold her for the equivalent of $6.44 to another soldier, Bill Wynne, so that he could continue a poker game. Bill trained and taught her to do tricks as well as accompanying him on various combat missions. She first started her role as a therapy dog in 1944 when Bill became ill with dengue fever and hospitalised. His comrades brought Smoky to the hospital, and the nurses took her to see other sick and wounded soldiers, cheering them up. Smoky continued with her therapy visits for twelve years, during and after the war. She was often seen on stage with Bill, performing tricks, and appeared on TV shows in the U.S.A. She finally retired in 1954. In 1976, Elaine Smith, a nurse in the U.S.A., started a training program for therapy dogs after seeing the benefits of a chaplain who visited her patients with his Golden Retriever. A therapy dog can be a pure breed, crossbreed, show champion, rescue case or family pet, and can be large, medium or small. Most vital is that it has a calm and gentle temperament. A dog must be at least one-year-old, in excellent health, with all vaccinations up-to-date, and free of fleas and ticks. 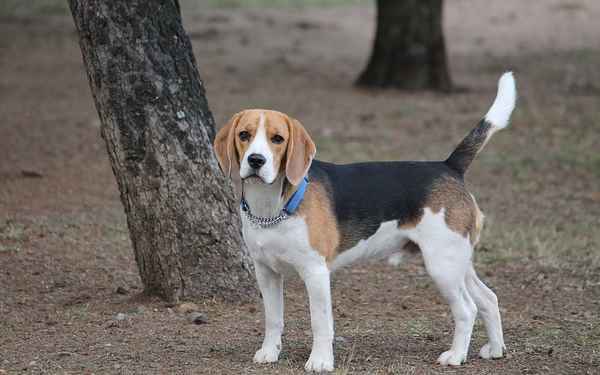 It needs to have basic obedience, be well-behaved and able to get along with other dogs. It is essential that they love interacting with people, be accepting of strangers, and can wait until a person touches it, without getting over-excited. The dog must also be able to adapt to and handle different environments and situations, such as hospitals. The handler will be required to have background checks before they can volunteer, and must know their dog well, working together as a team. If you are interested in your pet becoming a certified therapy dog, you need to contact your local therapy dog group. They will have your dog evaluated to see if it meets the necessary requirements and organise training for you. 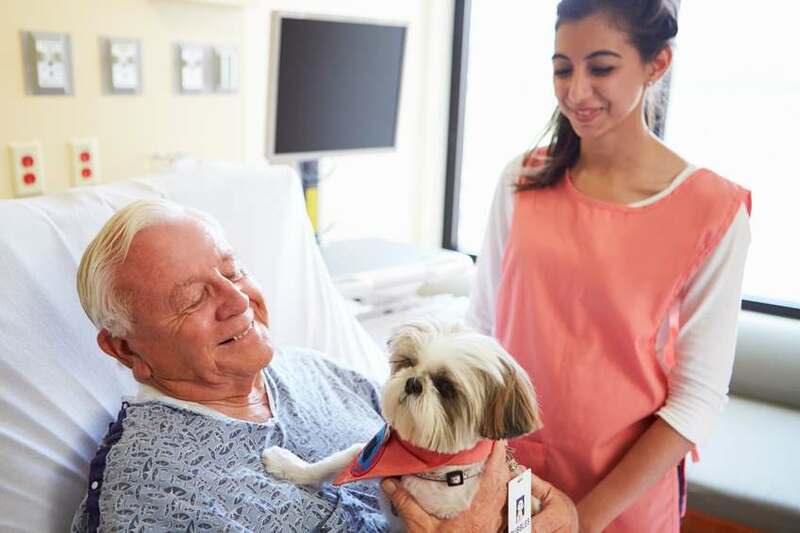 Small dogs make ideal therapy dogs as they are easy to lift onto beds and easier to handle, making them suitable for the sick, elderly and children. They are also not so intimidating for people who may be nervous or afraid of dogs. 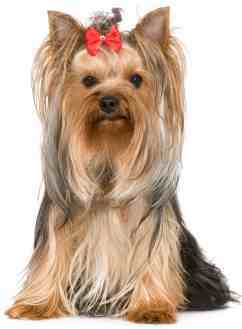 Yorkshire Terrier – gentle and easy to train, they make perfect lap dogs. 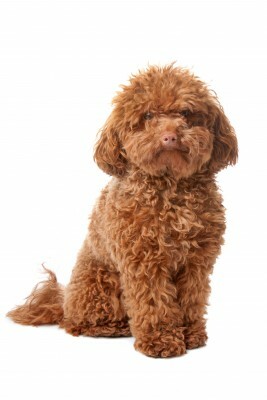 Toy Poodle – intelligent and obedient they can be trained to do tricks and entertain patients in the hospital. They are hypoallergenic so good for those with allergies. 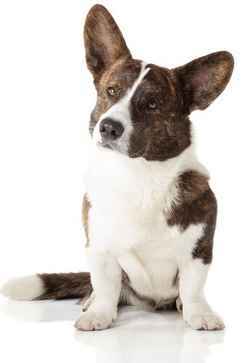 Corgi – a firm favourite of Queen Elizabeth II, they are even-tempered and affectionate. 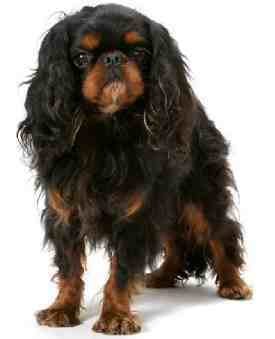 King Charles Spaniel- – their kind and warm nature make them excellent for children of all ages, along with adults. They are very friendly and can help those with emotional problems. 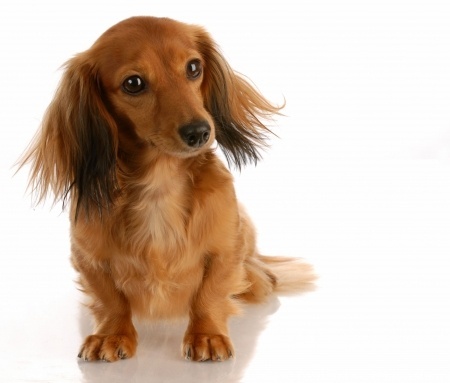 Dachshund – small with little legs, they are good with children of all ages. Affectionate and playful, they are ideal for those suffering from depression, autism, and anxiety. 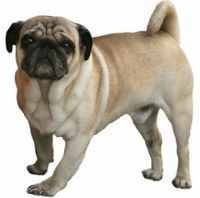 Pug – sweet nature, they make excellent companion dogs. They love everyone and are suitable for the elderly, those with depression and children with Attention Deficit problems. At the end of the day, though, it is not the breed but the dog itself that is important. If you are interested in getting more information about training your dog, the AKC Canine Good Citizen award is a way to begin in the U.S.
Again, in the US, Pet Partners is a good place to do more research and register your dog. If you live in Canada and want additional information, Canada’s Guide To Dogs is a good place to begin your research. Volunteering your canine friend can be a rewarding experience and will bring much joy and pleasure to many. I adore all animals, especially dogs and horses, and love writing about them. I have owned Miniature Schnauzers in the past and currently have a Toy Poodle called Lucy, who I adopted. I work professionally with horses and bring Lucy to the stables every day.